In order to provide an atmosphere conducive to developing the skills and knowledge of basketball, all of the participants of Walpole Youth Basketball shall conduct themselves in a sportsmanlike manner. 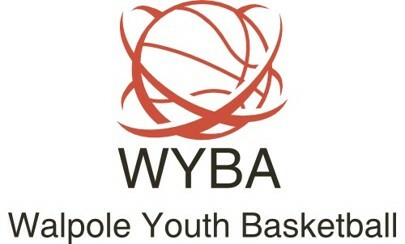 The Walpole Youth Basketball Board of Directors has voted to institute and enforce a zero tolerance policy. Coaches, players and spectators are not permitted to harass the referee, negatively address coaches of any team or players of any team. Such conduct undermines the referee’s and coach’s authority and can create a hostile environment for everyone attending the game. No one other than a coach is to address the referee during the game (coaches are also responsible for the conduct of their co-coaches, players and spectators). 1. Use profanity when talking to their players or parents. 2. Harass the referee. (They should wait until half time or the end of the game or use a timeout to discuss the situation with the referee). 1. Use profanity during games or practice. 2. Negatively address the coach during the game. 3. Negatively address a player during the game. 4. Address the referee during or after the game. 5. Coach from the sidelines. 6. Make derogatory comments about the coaching staff or players on the team or opposing team during or after the game. 1. A written description of the incident will be provided to the President, Vice President and relevant Director and Coach. 2. A designated member of the Walpole Youth Basketball Board shall be appointed to investigate the incident. a. For a first incident, the violator in question shall receive a written notice of the violation and shall be suspended from attending the next game/event that their child or they are scheduled to participate in. b. For a second incident, the violator shall be suspended from all Walpole Youth Basketball activities for the remainder of the current season. i. If a coach is a second violator, the coach shall be disqualified from future coaching in Walpole Youth Basketball. 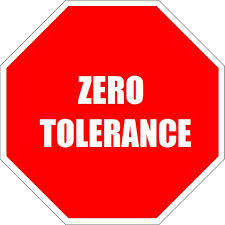 This policy was distributed to give the players and parents an understanding of zero tolerance. This policy has been accepted by and emailed to all parents at point of registration online. It is also presented to all coaches and agreed to by all coaches prior to accepting the coaching duties. Players are all handed this policy by their coaches and this policy is presented by POSTERS in all gyms in Walpole where games are played.